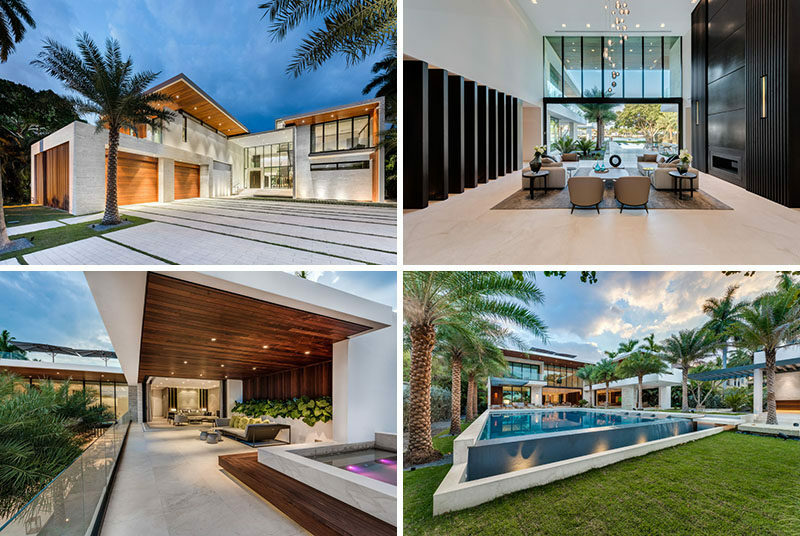 Cheoff Levy Fischman Architecture + Design have recently completed a custom single-family residence located on Palm Island in Miami Beach, Florida, that was inspired by the home’s native environment. 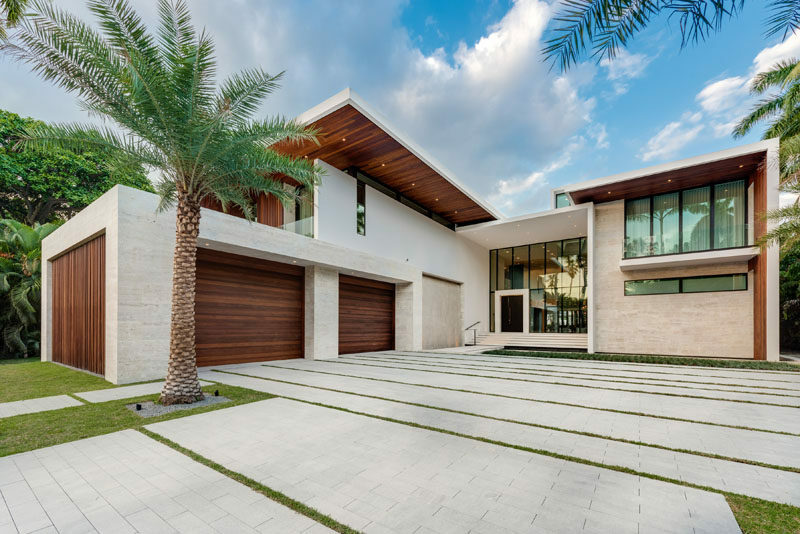 South American Ipe wood has been used as an accent on the exterior of the house, while a granite driveway and a waterfall made of carved limestone that sits near the front door. 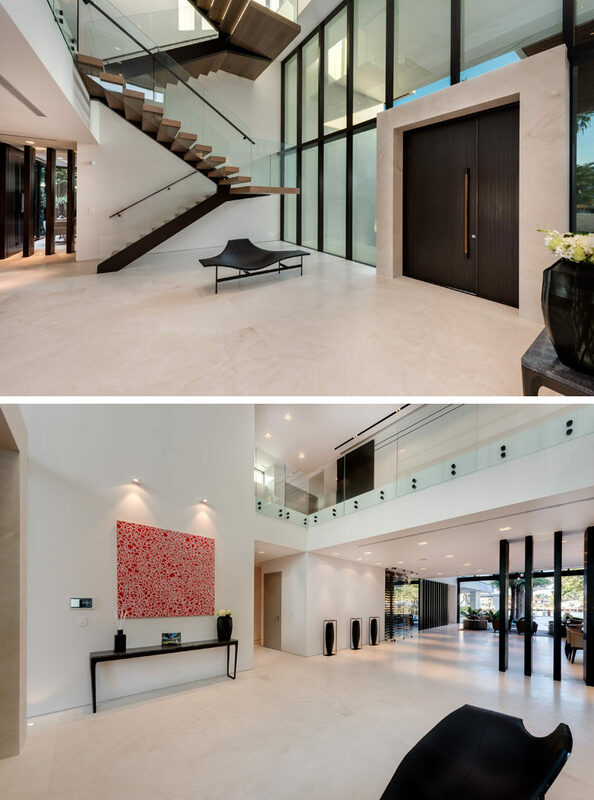 A large front door welcomes visitors to the home, and inside, honed Portuguese limestone flooring has been used throughout the house. 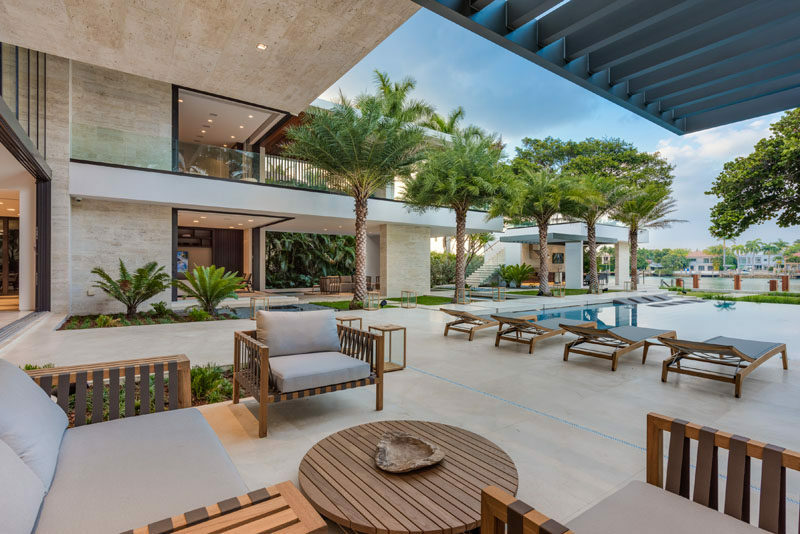 The architects have combined modern design with warm elements including natural stone, glass, wood, and water features to capture the essence of a Tropical Modern oasis. 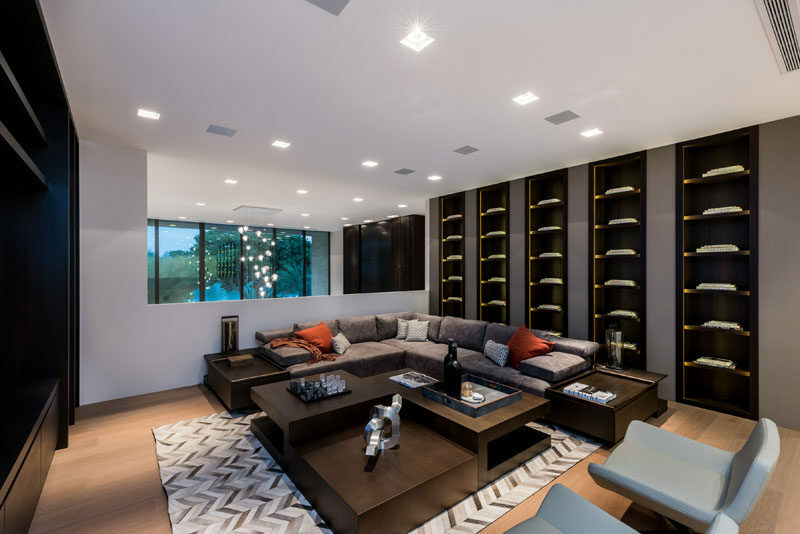 In the living room, there’s a two-story bronze fireplace on one wall and a large glass wall that opens to the backyard. 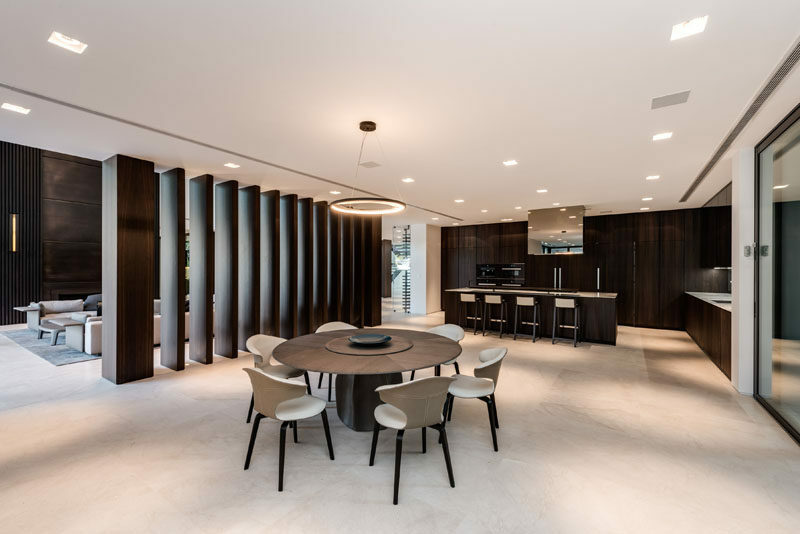 Texturized European smoked Oak has been used to create large vertical panels that separate the kitchen and living room. 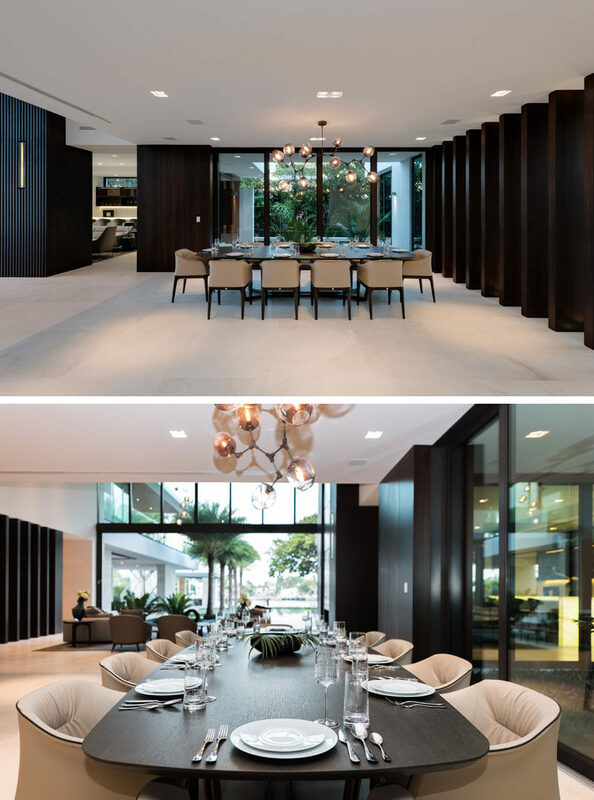 In a corner area next to the living room is a formal dining area with views of a water feature. On the other side of the fireplace in the living room is a bar and lounge area. 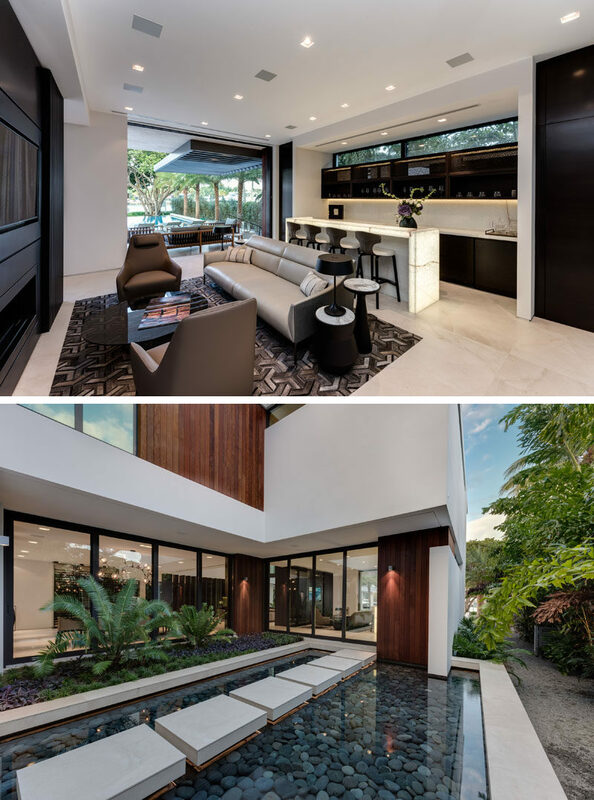 It opens up to the backyard and has views of a reflecting pond. 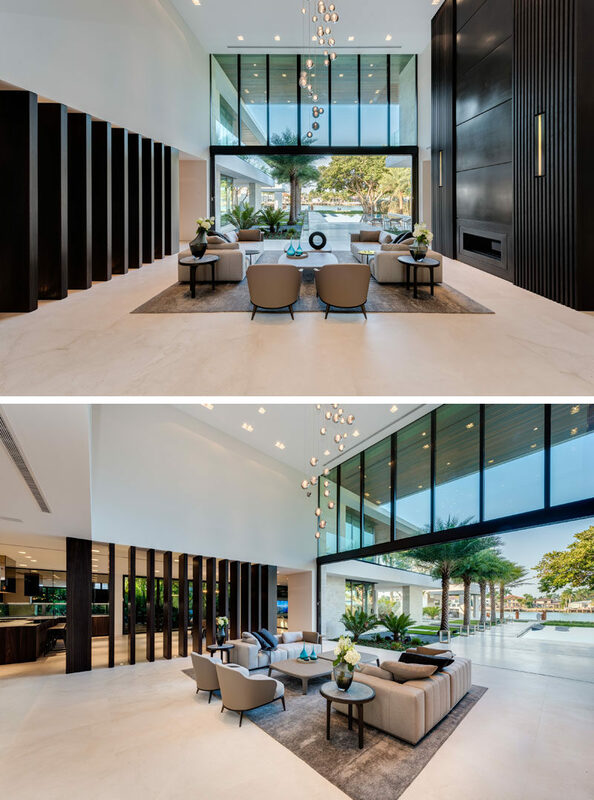 Also on the main floor of the house is a secondary living room that has sliding glass doors that pocket and disappear, helping to blur the line between indoor and outdoor living. 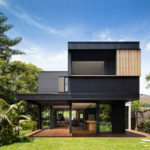 In the backyard of the home, there’s a covered outdoor lounge, a large grassy area, more than 100 feet of dock space, an outdoor kitchen and cabana with rooftop access. 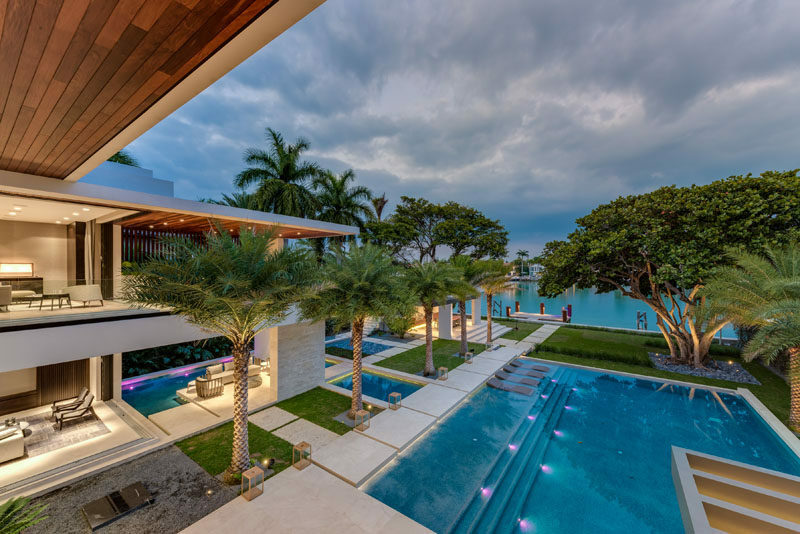 The home, which was designed around a giant Banyan tree, also has an over-sized infinity-edge pool that flows into shallow water that transforms into several reflecting ponds that wrap around an island with lounge seating. Back inside and upstairs, there’s another living room that has views of the living room below. Behind the L-shaped couch is a wall of built-in shelving. The master suite has been designed as a spacious retreat, with its own private living room and balcony. Here’s a look at the view of the backyard from the upper floor of the home.